I have the great pleasure of working with investment and retirement committees day in and day out that tackle the tough task of managing a retirement plan that will, more than likely, be a main source of retirement income for their valued employees in the future. In most every case, these committees have at least one female who is at the table helping shape the future for her people at work. As a woman, I know that it is second nature to want to take care of other people first; sometimes out of necessity and other times because taking care of other people’s problems allows us the ability to push our own problems further down the line. However, when it comes to preparing for our own retirement futures, putting our own needs at the bottom of the pile can be a big mistake. 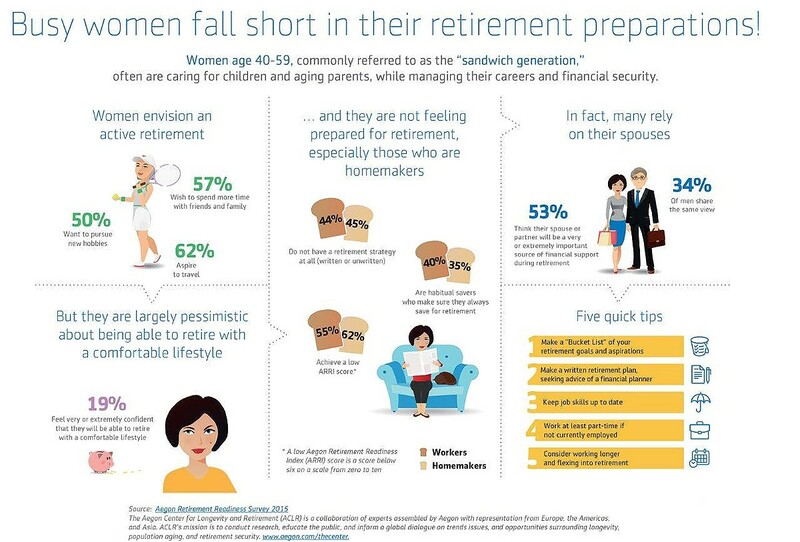 The fact of the matter is that in households today women make the financial decisions. Need proof? Women make 85 percent of all brand purchases (Stephanie Holland, shecomony) and according to Nielson Consumer 04-02-2013, women’s purchasing power ranges anywhere from $5 trillion to $15 trillion annually. So why are we still delaying putting a plan together for how we are going to live and spend in retirement? If you would like to discuss how becoming more financially prepared for the future can help you today, please let me know. 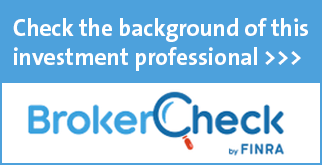 Employee Benefit Plan Audits – Are You Getting a Quality Audit? A great article from Jaime Sweeney, Senior Manager, Barfield, Murphy, Shank & Smith, LLC. The Department of Labor and the Employee Benefits Security Administration recently completed an assessment of the quality of audit work performed by independent public accountants and the overall findings were disappointing. In May 2015, the DOL released a report titled “Assessing the Quality of Employee Benefit Plan Audits” that found 30% of the audits (nearly 4 out of 10) contained major deficiencies in regards to GAAS requirements. Those deficiencies could lead to rejection of a Form 5500 filing. The report makes recommendations, including DOL outreach and enforcement related to audit standards. As part of this outreach, in November of 2015, the DOL distributed letters and information to plan administrators of “funded” ERISA employee benefit plans providing tips for selecting and working with a qualified CPA firm auditor who has the expertise. Plan administrators are held responsible as fiduciaries of the plan, and can be held personally liable if they are not making reasonable choices with regard to their plan. The letter explains that a quality audit can help protect plan assets and make sure that the plan is compliant with applicable law. The letter specifically emphasizes that plan administrators should be careful when they select and retain an auditor. While many accounting firms are choosing not to continue offering employee benefit plan audits, we at Barfield, Murphy, Shank & Smith, LLC assure you that we are distinctly qualified for this work and will continue to offer this service. Having worked extensively with retirement plans for over two decades, BMSS is known for having one of the premier auditing practices in Alabama. BMSS audited in excess of 30 plans in 2015, including defined contribution and defined benefit plans. Our staff has a great deal of experience understanding the nuances of these audits. Employee benefit plan audits have unique audit and reporting requirements and are different from other financial audits. At BMSS, all of our employee benefit plan professionals receive annual Continuing Professional Education specific to Employee Benefit Audits. Barfield, Murphy, Shank & Smith, LLC is a member of the American Institute of Certified Public Accounts EBPAQC (Employee Benefit Plan Audit Quality Center), a group created to improve quality of benefit plan audits with news alerts, training, webinars, audit quality center and other resources. Our CPAs are actively licensed by the Alabama State Board of Accountancy. We are proud to say that BMSS has not been subject to any DOL findings or referrals. We have not been referred to a state board nor the AICPA for investigation. If you have any questions or concerns regarding your employee benefit plan audit or if you would simply like more information about receiving a quality audit, please contact one of the EBP Audit professionals Barfield, Murphy, Shank & Smith LLC at (205) 982-5500. What is keeping your employees awake at night? A recent survey finds that 62% of Americans are losing sleep over at least one financial problem, and the most common worry? Retirement savings. According to a 2015 CreditCards.com report, people are up counting sheep at night concerned about some serious money issues. The most common money fret is saving enough for retirement; two in five Americans say this keeps them up at night at least occasionally. People between the ages of 50 and 64 are the most concerned (50% said they fret about their retirement savings – or lack thereof – in the wee hours). The second-biggest concern is educational expenses. This time, it’s younger adults who are the most troubled. 50% of 18-29 year-olds are losing sleep worrying about how they’re going to pay for educational expenses (much higher than the 31% of the overall population who have this fear). Student loan repayment is a sincere, honest concern for young Americans. Trent Grinkmeyer had a great article recently for parents of young children with ways to save for their college education. It seems as if more parents had saved and prepared 20-25 years ago, there would be a lot more people sleeping well tonight. 29% of Americans are losing sleep because of healthcare/insurance bills, 27% because of their ability to pay the monthly mortgage/rent and 21% because of credit card debt.One thing that all of these concerns have in common is that they can be solved, or at least lessened, with proper planning. Working with a qualified financial advisor to assist your people with financial topics such as budgeting, debt reduction, and retirement readiness, can make the difference between a well-rested, alert workforce and groggy, stressed-out employee population. It is not often when I am really caught off guard by a remark, but recently while attending a panel style discussion lead by three Human Resource Managers that also serve as 401(k) Plan Sponsors, one of them made a comment that threw me for a loop. She said, “People don’t realize what a lonely job being a Human Resource Manager can be.” She went on to elaborate on the fact that few, if any, members of a company can really appreciate all that the HR professional has to do throughout the day. The rest of the panel members agreed and listed off a myriad of tasks from personnel manager to staffing firm to marriage counselor that most members of human resources serve as besides their official written job description. In an effort to bring others into your personal world or to at least garner a better appreciation for what you do, here are a few much easier said than done ideas for HR professionals. Find a sidekick– The HR workforce is full of superheroes; and superheroes never need for help, right? Wrong! We all know that Batman had Robin and Wonder Woman had Wonder Girl. Therefore, it is so important that you finds an individual either within the organization or outside to assist with the tasks that you are too busy to tackle to help you free up some time to continue saving the world (or at least your company). Look to your advisers and product providers for resources that they can provide to help you do your best work. Ask for help – One of the hallmarks of an awesome HR professional is the level of care and selfness that they often exhibit; often to the point that they do not want to appear overwhelmed for the fear that they might burden another employee. However, by not asking anyone for help, you may be creating unnecessary work and/or stress for yourself down the line. Asking for help can also be a great way to involve those valued individuals who report to you by allowing them some extra responsibility. Delegate more – Delegating is the hardest task for me personally, since I like many hard-working professionals, think my way is often the best way. Recently though I have come to the realization that done beats perfect every time and my way isn’t necessarily the only way. While it is extremely important that tasks get done to your standards, it is also important that items that you do not love to do or are too busy to complete get done as well. Figure out the items that you can let go to free up time to do what you do best. Say “No” – While you may not be able to say no to the employee standing at your door or your boss demanding an immediate response to an email, there are ways to say little no’s throughout the day. Thinking of saying no to things like checking Facebook every 15 minutes or sitting in on a weekly meeting that does not impact the way you do business as a way to free up time. Also, consider turning your email off for an hour a day as a way to focus on completing outstanding projects. If you are one of those HR superheroes who feels like they could use a sidekick, I would love to talk to you about ways to find advocates and to ask for assistance. As a HR professional, you do so much for your company; isn’t it time for someone to help you? Caleb Bagwell, Education Specialist for Grinkmeyer Leonard Financial, does a wonderful employee education presentation where he compares accounts used for keeping money as cookie jars. For example, your checking account is a blue jar, your savings account is a yellow jar, and your 401(k) account is a green jar. From there he goes on to explain that the investments within those jars are the cookies; sugar cookies are a money market, chocolate chip domestic equity, white chocolate macadamia are internal equities, and so on. (For more Calebism’s check out his blog ) . So what happens when your blue checking account is running low and you need some more cookies ? A significant number of people turn to their green 401(k) jar because, after all, it is your money to begin with. Although, this may seem like a quick and easy fix, it can have long term negative effects on your ability to retire. Should You Really Be Reaching Into the Jar? T. Rowe Price recently conducted its eighth annual Parents, Kids, & Money survey and found that 44% of parents said that in the past two years they had used money saved for retirement for a non-emergency expense. Around 17% used the money to pay off debt which could be a semi-sound financial move depending on the interest rate of the debt paid off, but an equal amount, around 17%, said they had used the money to pay for vacation and 16% used the money for their children’s education. Let’s start with vacation. While I am an advocate for work-life balance and think that a well-deserved week away from the office does an employee good, a vacation falls into the category of “if you can’t pay for it, you shouldn’t do it”, especially if it means dipping into your retirement savings. Using your retirement savings to fund a child’s education can also be an inappropriate use of your money. While loan, particularly student loan, has become a four letter word, the truth is that your children have a much longer time span to pay off a student loan, then you have to save for retirement. But They Are My Cookies to Begin With! One of the most common arguments I hear as a reason to take loan from your 401(k) account is that is it you are paying yourself back rather than a financial institution. However, there are several reasons why this argument leads to a slippery slope. The first, and main reason, is you are paying yourself back with after-tax money and that money will be taxed again when you take it out in retirement as a distribution from your 401(k) account! To explain, If you are in the 25% tax bracket, earning $1 only gives you $0.75 toward repaying the loan, and that $0.75 will be taxed again when you retire and withdraw if from your plan. The second factor to consider is opportunity cost. Opportunity cost is the alternative that is given up when a choice is made; in regards to your 401(k) that cost is the potential market gain that you are missing out on while your money is out of the plan. A third reason to consider about taking out a 401(k) loan is that you have potentially handcuffed yourself to your current employer. The full balance of a loan becomes due when you terminate employment and if you cannot repay the total amount, then whatever you cannot pay back becomes a taxable distribution that is also subject to a 10% penalty if you are under age 59 1/2. First consider the fact that the term for most 401(k) loans is 5 years. Then consider that according to a 2015 study conducted by the Bureau of Labor Statistics that of the jobs that workers began when they were 18 to 24 years of age, 69% of those jobs ended in less than a year and 93% ended in fewer than 5 years and among jobs started by 40 to 48 year olds, 32% ended in less than a year and 69% ended in fewer than 5 years. Consider those 2 facts together and it is reasonable to think that the majority of employees who take out a 401(k) loan will not be at their employer long enough to be pay it back in full. While the idea of dipping into your retirement savings to take care of a today need may be as tempting as biting into a warm chocolate chip cookie, in most cases it is best to just say no! Once you say no once to compromising your retirement savings, it will get easier and from there you can start to address the underlying reason why you probably needed the loan in the first place, the lack of sufficient savings. The T Rowe survey mentioned earlier also found that 72% of parents don’t have enough savings to cover at least 3 months of living expenses and 49% said they didn’t have an emergency account at all. We have some great resources that speak to the importance of budgeting and would be happy to help your employees start the process of setting and following a budget. Cookies and 401(k) loans are tempting because they are usually easily accessible and have a certain level of immediate gratification. Let us at Grinkmeyer Leonard Financial help you find a better way to tame the temptation. While you are in the midst of finishing personal tax returns, filing extensions, viewing recordkeeper’s reports, sorting through transaction ledgers amongst countless other tasks associated with the normal course of your business, it may be tough to fathom stopping to ask yourself “What other value could I be adding to my clients?” So I have done that for you! Here are a few ideas that you can immediately add to your practice that could add additional value to your client relationships. Nonqualified Deferred Compensation Plan – If you are a CPA who works with high net worth individuals or business owners, simply mentioning the idea of a Nonqualified Deferred Compensation (NQDC) plan may be enough to spark your client’s interest. A NQDC plan is a type of savings plan that a business sets up that allows a select group of individuals to put away sums of money over and above what a traditional retirement plan allows. There are several forms of investments that a NQDC can utilize, including mutual funds and corporate owner life insurance, and you must have a plan document in place. However, as the name states because the plan is nonqualified there are not the same restrictions to contributions or participation and there is no annual compliance testing associated with this type of plan. It should be noted that NQDC plans are suitable only for regular (C) corporations. In S corporations or unincorporated entities (partnerships or proprietorships), business owners generally can’t defer taxes on their shares of business income. However, S corporations and unincorporated businesses can adopt NQDC plans for regular employees who have no ownership in the business. There are many more nuisances to a NQDC which we would be happy to help you explore if you have a client who is interested in learning more. Safe Harbor Features – If you audit a plan that consistently fails testing resulting in the highly compensated employees receiving refunds, it may be time for that plan to explore the options of adding a Safe Harbor feature to their plan design. A Safe Harbor 401(k) plan generally satisfies annual compliance testing. By satisfying annual compliance testing through either an approved matching formula or non-elective formula, the highly compensated employees are no longer at risk of receiving a refund of their deferral dollars. The stated Safe Harbor match formula is 100% match on the first 3% of elective deferrals and 50% match of the next 2% deferred and the stated non-elective contribution formula is equal to a contribution of 3% of eligible compensation for all eligible employees regardless of participation. In both cases, the participants must be formally notified of the Safe Harbor provision through a notice and the contributions are immediately 100% vested. Automatic Enrollment – Another idea that can help that plan who consistently fails compliance testing would be to suggest adding an automatic enrollment feature. In a our best case scenario of automatic enrollment, all eligible employees would be enrolled at 6% with an auto-increase feature up to 10%; but, even adding automatic enrollment at the more widely accepted 3%, the plan is taking steps to not only increase their chances of passing annual compliance testing, but also to help their employees become better prepared for retirement. As a CPA working side-by-side on a business owner’s personal return or auditing a corporation’s benefit plans, you are in a unique position to provide guidance on areas slightly outside your scope of services that may have a meaningful impact on the retirement success of your client and further cement your already valuable relationship. The information provided on our 3 value-add ideas was brief and there are of course individual circumstances that could affect the appropriateness of the recommendations; therefore, please reach out to me if I can be of any further assistance in explaining. There were 53.5 million Millennials employed in the United States as of May 2015, and by 2025, this generation will comprise almost 75% of the US workforce. Think about that, in less than 10 years 3 out of 4 people who are working in America will be have born between 1980 and 2001. How much do you know about this upward rising generation other than their stereotype? Yes, they are adults who still like to play video games. Yes, they have no idea what a typewriter was used for. And, yes they are technology-dependent, eco-friendly, hipsters who like music that no other generation can possibly tolerate; but there’s more. Pay ranks first among job factors that matter most to this cohort. Meaningful work is second, positive relationships with co-workers third and flexibility fourth. 82% of Millennials did not negotiate their salary, either because they were uncomfortable doing so or didn’t realize it was an option. 37% of Millennials left their first full-time job within two years. 26% said a better salary would have kept them around longer; 17% would have stayed with a clearer sense of how to advance in the organization. 63% know someone who had to move back home because of the economy. Millennials list Google, Apple, Facebook, the US State Department and Disney as their top ideal employers. 94% enjoy doing work that benefits a cause. 63% want their employer to contribute to a social cause. 77% would prefer to do community work with other employees, rather than on their own. 57% want their organization to provide companywide service days. 47% had volunteered on their own in the past month. 75% see themselves as authentic and are not willing to compromise their family and personal values. $45,000 is the average amount of debt carried by Millennials. More than 63% of Millennial workers have a bachelor’s degree, but 48% of employed college grads have jobs that don’t require a four-year degree. 70% have “friended” their colleagues or supervisors on Facebook. $24,000 is the average cost of replacing a Millennial employee. 15% of Millennials are already managers. 56% wouldn’t work for an organization that blocks social media access. 69% believe it’s unnecessary to work from the office regularly. 41% have no landline phone access and rely solely on their mobile phone. 65% of Millennials say losing their phone or computer would have a greater negative impact on their daily routine than losing their car. 54% want to start a business or already have done so. 35% have started a side business to augment their income. 80% of Millennials said they prefer on-the-spot recognition over formal reviews, and feel that this is imperative for their growth and understanding of a job. There is a lot of interesting facts here. I think we could use them in all sorts of contexts; think about it all specifically in terms of hiring employees and even more important for retaining them. Employee turnover costs skyrocketing. According to the Center for America Progress, the replacement cost of an employee who earns $30,000 to $50,000 a year is 20% of annual salary for those mid-range positions. So the cost to replace a $40k employee would be $8,000. For higher level employees, the replacement costs skyrockets to 150-200%. For a $100,000 employee, the cost just to replace him/her can be easily $150,000. The influence of a strong company culture is a huge factor that results can equate to what Gen Xers and Baby Boomers look at as loyalty. Millennials can be long-term, engaged employees, but not at 1970, 1990 or even 2010 standards. It is time to make some changes. It will cost you too much not to.